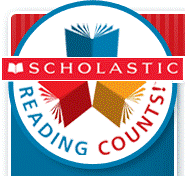 We hope your child(ren) read books over the summer because it’s time to take Scholastic Reading Counts (SRC) quizzes! •	Select their own books and instill a love of reading. •	Set, track, and accomplish goals. •	Receive recognition for accomplishing goals. •	All students will be rewarded equally and held to the same standards throughout their years at AHES. •	Awards and points carry over every year until the student leaves AHES. •	Students must take all tests independently. Parents are not allowed to help. •	Each book is assigned a point value by Scholastic. •	Students must answer 7 answers out of 10 questions correctly to pass a quiz. •	If students do not pass a quiz, they may retake a quiz up to 3 times, but they must wait 24 hours between attempts. After three tries, they may no longer access that quiz. •	If lanyards or medals are lost, students can purchase replacements from the PTA. Bookmarks and pencils will not be replaced. •	During Computer Lab visits. •	Before school on Wednesdays, from 7:30-8:00, in the Computer Lab. •	After school on Wednesdays, from 12:20-12:45, in the Computer Lab. •	Awards will be given on a monthly basis, usually the first week of the month. •	Award winners’ names will be posted in the Library. •	Every Wednesday is “Lanyard Day”! Students are encouraged to wear their lanyards on Wednesday to earn PAWS tickets. If you have any questions about SRC you can talk to Mrs. Short, the librarian, at kshort@ousd.org , or contact Erin Lawrence, the Reading Counts Chairperson, at ﻿erin_m_lawrence@yahoo.com﻿. Remember, you should only read on the days you eat!! !